As much as we try to look at our vehicles as material property, we tend to get attached to it before we know it. One of the best ways to make it last is to take good care of it. Proper maintenance does not only include regular garage visits. It is essential to ensure that you have all your documentation in place. An iOS app AUTOsist is here to help you with that. Ensuring a proper paper trail is just as essential as regularly oiling your vehicle. The basic idea behind this app is to create a virtual paper trail or record of your car. All documents concerning your car are maintained in a single place now. There is a ‘garage’ category where all your garage visit documents are stored. Working with it is simple- you begin with clicking a snap of your document and the app will save it for you. You just have to enter a short description of the document and the app will classify it into insurance card, driver’s licence, receipt and the like. 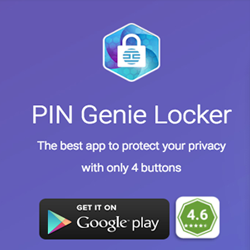 To get started with the app, you need to create an account with it. This can be done using your email or via Facebook. Once this is done, you can maintain documents for each vehicle you own. Besides adding cars, you can add any kind of vehicle to it. This ranges from a bike to a car to a trucks to an RV to even an airplane. You can add virtually any kind of vehicle to your virtual garage. Additionally, the list of models and makes is very extensive. It is complete in all aspects. In case you have a unique vehicle, there is an ‘others’ section where you can add it as well. This will allow you to manually add the model and make information for your vehicle. That’s as easy as adding a vehicle gets. Another interesting feature of the app is that it maintains the complete history of all information regarding your vehicle, which can be easily exported to a PDF to be viewed. If you wish to sell your vehicle, then this feature will come in handy. The complete history and documentation of your vehicle can add additional value to it. Besides just managing your receipts, the app has an organized layout for storing other documents. A ‘Personal Docs’ tab is specially for auto membership cards and the like. These are not linked to a single vehicle but to the user as a whole. A ‘General Docs’ tab has documents specific to your vehicle. Once you give away your vehicle, all the documents in this tab under that vehicle will be automatically erased. The layout of the app has been kept stylish yet simple. It is professional and attractive both, being devoid of any high-end tacky graphics as such. Besides being appealing to the eye, the layout is effective in its functionality. The organization of all records and documents is well done, avoiding any sort of clutter. A search feature helps you locate the right document in an emergency. 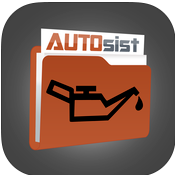 All said and done, AUTOsist is an extremely useful app that can help you maintain your vehicle and add value to it. This can be a great asset when you have to sell your car. 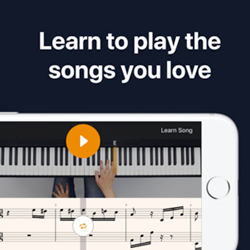 At present, it is available in the App Store, free of cost and free of ads. This app is for those who care for their vehicles and would like to treat them well. It would really add value to the app if it could provide regular notifications and a bit of interactions with the user.